HIPAA breaches are everywhere: Are your employees prepared? A hospital OR secretary was fired after she accessed the hospital's EHR to locate a co-worker's phone number. A child's adoptive parents sued a hospital for allegedly violating HIPAA when it notified the child's birth mother of his death. 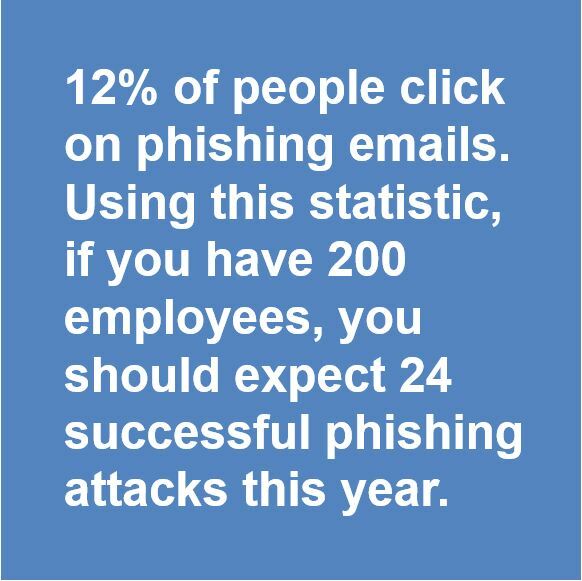 Hospital employees clicked on links in emails that appeared to be from trusted sources, unleashing a spear phishing attack. Hackers accessed PHI for 63,000 individuals - some of whom are suing the hospital for failing to protect their privacy. A patient is suing CVS for telling his wife about his Viagra prescription. Some of you might read these (true) stories and view them as blatant, or at least ignorant, HIPAA violations. Or maybe you believe these are honest mistakes. I think it depends on whether, when, and how the healthcare employees involved were trained on HIPAA in a practical way. In the CVS example, we can imagine a pharmacist or pharmacy tech at the register and taking phone calls. This person talks to people all day long about prescriptions - often prescriptions dropped off or picked up by a spouse. When is the last time this pharmacist was trained on when to share information with a spouse (and when to keep it confidential)? Regarding the spear phishing example, I received two phishing email attempts today, and it's only 2:00 p.m. I recognized the emails as phony - but my day job involves HIPAA, and I read about HIPAA for fun. It's always on my mind. Would healthcare employees who spend their days scheduling patients, sending out EOBs, or providing care recognize suspicious emails? It depends on how well they have been trained, and how often. 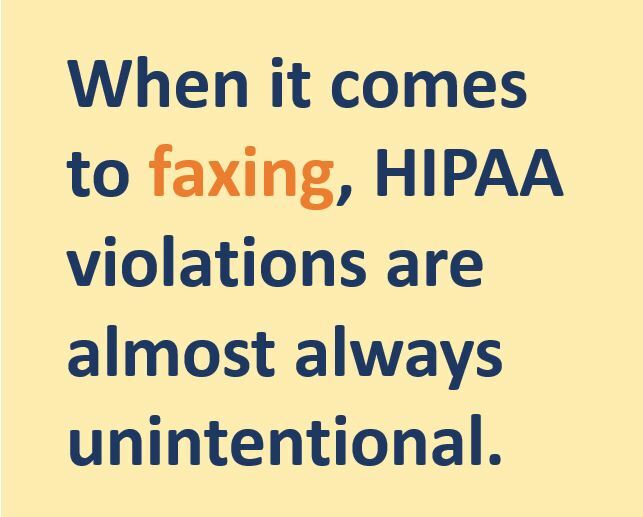 HIPAA, like the rest of compliance, is not simply something for the lawyers or the compliance department to figure out. 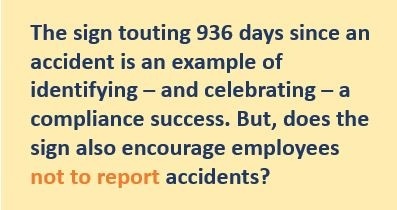 Our compliance programs are only as strong as our weakest employees - and it's up to us to train them to get it right. Giving them, getting them, even writing thank you notes for them. But in healthcare, presents are tricky. That is why, this holiday season, MPA is sharing a compliance video with you. You are welcome to share this video with your staff to help them navigate patient and vendor gifts, freebies and perks this holiday season. 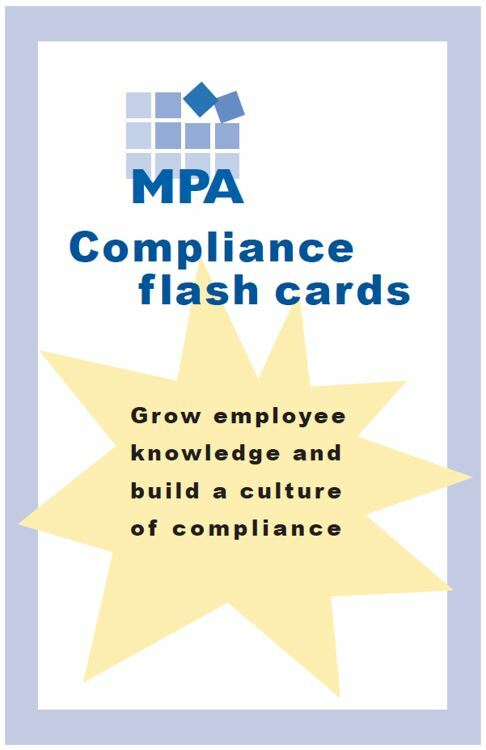 Want to do more to cultivate a culture of compliance? 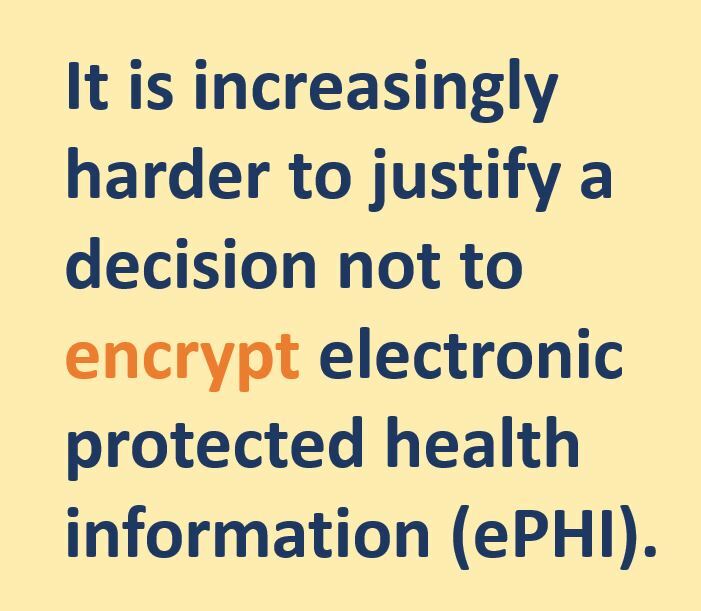 At HCCA’s 2018 Compliance Institute, Iliana Peters, formerly of the OCR and now with the Polsinelli law firm, commented that not encrypting is “less and less persuasive.” In other words, it is increasingly harder to justify a decision not to encrypt electronic protected health information (ePHI). This is welcome input, considering that encryption is “addressable,” but not “required” under the HIPAA Security Rule. (B) If implementing the implementation specification is not reasonable and appropriate— (1) Document why it would not be reasonable and appropriate to implement the implementation specification; and (2) Implement an equivalent alternative measure if reasonable and appropriate. But when it comes to encryption, the line has been moving since the HIPAA Security Rule was originally implemented. Fifteen years ago, it was common – and perhaps more “persuasive” – to make the argument that encryption was cost prohibitive, and therefore not “reasonable and appropriate.” As time went on, the likelihood of ePHI being compromised increased—partly because there is more ePHI; partly because there is more demand for ePHI on the black market; and partly because hackers have more sophisticated methods of illegally obtaining ePHI. At the same time, encryption options have become plentiful and more affordable. And last but not least, on June 18, 2018, the OCR announced that an HHS Administrative Law Judge (ALJ) ruled that MD Anderson violated the HIPAA Privacy and Security Rules when it failed to encrypt its electronic devices, despite identifying encryption as a high security risk. The regulations governing ePHI do not specifically require devices to be encrypted if "encryption" in this context is interpreted to mean some mechanical feature that renders these devices physically impossible to enter by any persons who are not authorized users. But, these regulations require covered entities to assure that all systems containing ePHI be inaccessible to unauthorized users. 45 C.F.R. § 164.306(a); 45 C.F.R. § 164.312(a)(1). · These regulations give considerable flexibility to covered entities as to how they protect their ePHI. Nothing in those regulations directs the use of specific devices or specific mechanisms by a covered entity. However, the bottom line is that whatever mechanisms an entity adopts must be effective. Respondent failed to comply with regulatory requirements because it failed to adopt an effective mechanism to protect its ePHI. Fire to fire. Blind spots. Whack-a-mole. Don't know what I don't know. These are common phrases used by compliance officers to describe their compliance efforts - particularly new ones. 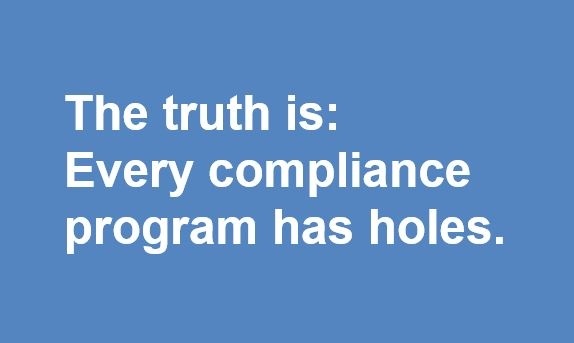 The truth is, every compliance program has holes. The successful ones know where their gaps are, and have a plan to fix them. How do you find your compliance gaps? You will find some gaps by performing routine audits of your compliance risk areas, like HIPAA walk-throughs and medical necessity documentation reviews. By diligently monitoring your compliance hotline and seeking feedback from your staff, you will identify even more gaps. To discover the rest, you will need to conduct a gap analysis - also known as a compliance risk assessment, baseline assessment, or annual review. Analyze any data you have. Your data could include your PEPPER report, hotline call statistics, employee survey results, percentage of employees who completed compliance training, etc. Verify that compliance tasks are completed. 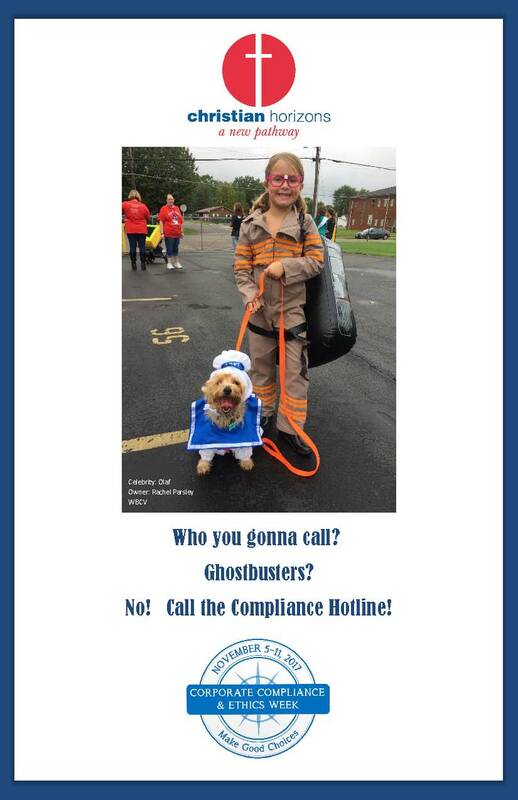 Example: Verify that your Compliance Committee met at least four times this year. PROVE that the task was completed. Example: Locate Compliance Committee meetings meetings, agendas and attendance sheets. Make sure you can provide this proof immediately if the OIG shows up and is waiting patiently in the next room. For every compliance task, goal or requirement you evaluate, identify strengths and weaknesses - and establish a game plan for the future. The HCCA/OIG Compliance Effectiveness Roundtable document is an excellent resource for compliance program review, and is available here. This document lists examples of questions to ask when evaluating your compliance program. 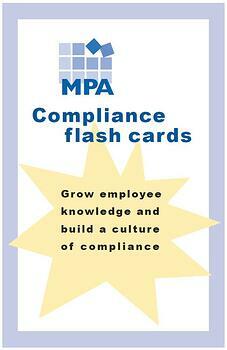 Or, let MPA assess your program and give you an action plan to fill your compliance gaps and maximize compliance. Know your gaps? 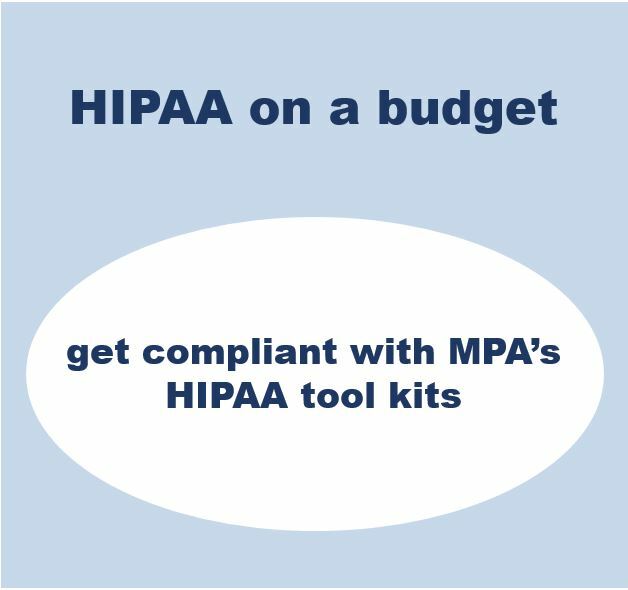 Close them with MPA's compliance and HIPAA tools.